Yuck, I’m Not Eating THAT! There are certain foods that seem to be universally shunned our modern world. Liver and other organ meat top the list. This is a shame, as all organ meats are essentially nature’s vitamins. Let’s put aside organs for a bit and just look at meat. A quick comparison between common vegetables and beef will surprise many. Comparing equal servings of beef and carrots, the meat contains on average almost 5 times the minerals. Similarly, meat contains 10 times more vitamin E. Carrots contain no vitamin A or D or B12, but wins for vitamin C.
Beef liver actually contains vitamin C! over 10,000 times more vitamins A and D!!! One trick to getting liver, kidney, heart, sweetbreads etc. into your diet is to grind it up and put it into ground beef. This really does work quite well. Another good option is to purchase or make pate and spread it on a tastey cracker (gluten free of course). Alexian makes several types of pate and is widely availabel. Another way is to cook it, slice it into small capsule sized bits and freeze it. You can take it like you would a pill. But Why Do All That When There Is Ancestral Supplements? If you just can’t stomach orgam meat, by all means this is your work around. 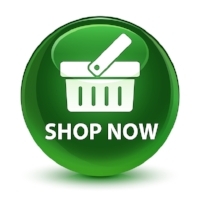 You can check out and purchase any of their whole food organ supplements now by clicking on the shop now button. Use promo code SolomonsDDS for an additional 10% discount!